The NANSENSE full-body motion capture system consists of an integrated ‘body sensor network’ of up to 50 intelligent 9DOF absolute orientation sensors capable of capturing everything from gross motor skills to fine finger articulation. The full body motion capture suit is made of the highest quality fabrics with special foam padding designed to maximize data accuracy and reduce unintended sensor movements. The suit comes in three sizes: small, medium and large and may be custom tailored upon request. 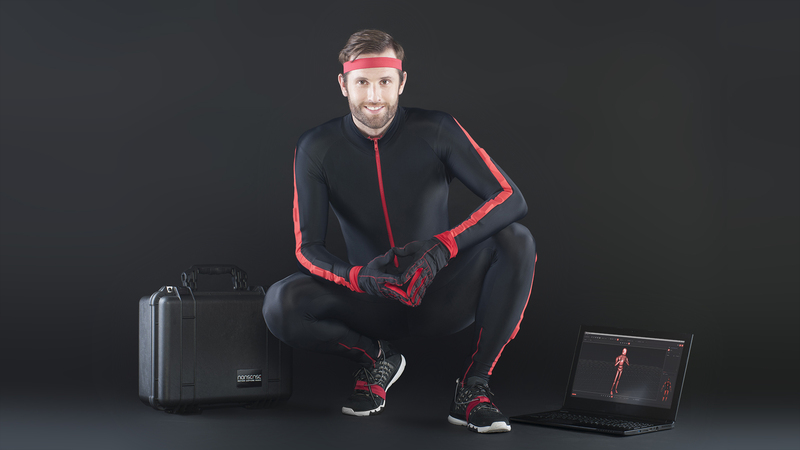 The NANSENSE full-body motion capture system comes with a premium lycra suit, headband, hands and feet straps, gloves (if applicable), set of body orientation sensors, a central processing unit, along with the NANSENSE Studio software suite. Storage and transportation options include an ultra portable backpack or a watertight, crushproof, and dustproof hard case. 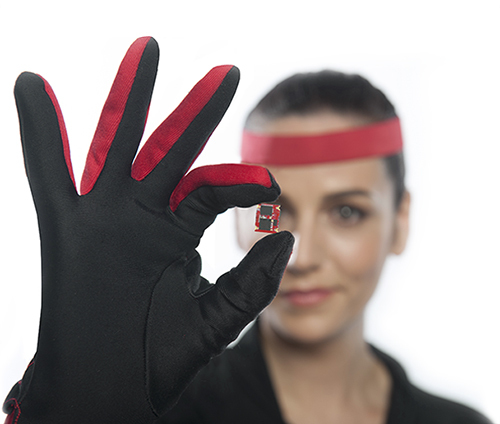 The NANSENSE gloves are the best in class tool for capturing high-resolution hand and fingers data. Each glove is carefully constructed to be anatomically correct using high performance fabrics. Our in-house sensors remain one of the world’s smallest and most powerful on the market, designed to endure the abuse of professional recording sessions. 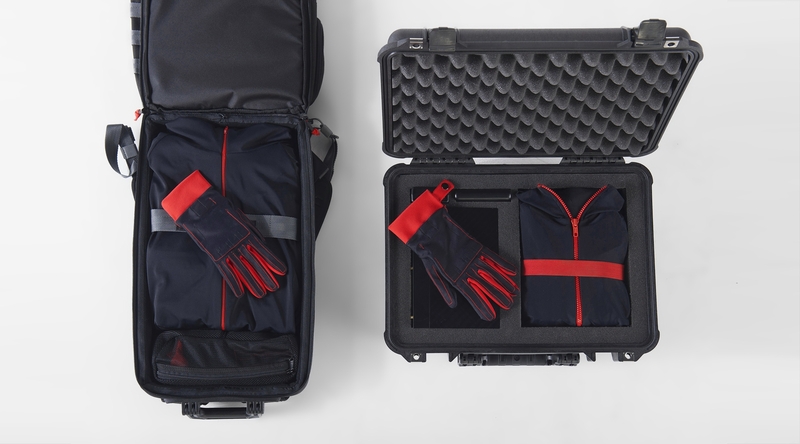 Depending on the project, the NANSENSE Motion Glove comes in several configurations: 7-sensor, 12-sensor and 15-sensor. 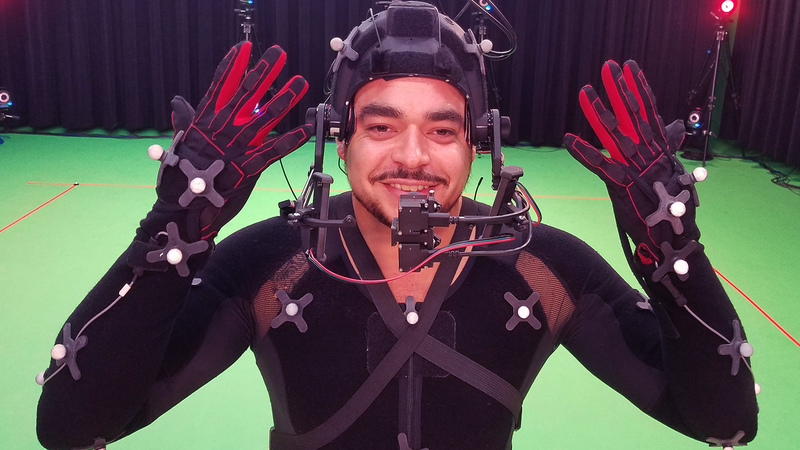 Models with fewer sensors replace physical sensors with kinematic algorithms, which are part of our motion capture solver library, designed to synthetically simulate hand deformations. While our 15-sensor glove is more accurate, our 7-sensor glove will still produce good-looking data that is more useful for the purpose of animation and less desirable for biomechanical analysis. The NANSENSE gloves may be used individually, in pairs, integrated with our full-body suit, or as a complementary stream to other motion capture systems requiring finger data such as Vicon and Optitrak. Automated recording and timecode synchronization are available to ensure proper data alignment with audio and video reference streams.